Product information "XMC 750 Watt Motor Control Application Kit"
What can you move with 1 horse power? 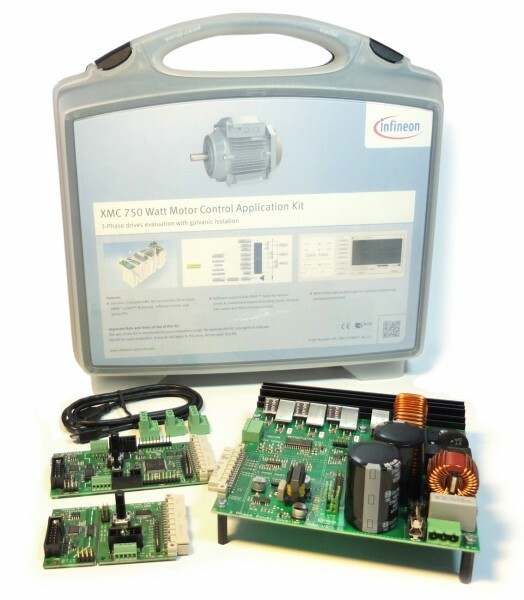 The XMC 750 Watt Motor Control Application Kit gives you the answer. The power board includes off-the-grid supply with input filter, active PFC and high switching frequency IGBTs from Infineon to turn your 3-Phase drive. Both CPU Cards (XMC1300 and XMC4400 Drive Card) provide a galvanic isolation for the debug interface to guarantee safe operation during software development. Related links to "XMC 750 Watt Motor Control Application Kit"
Customer evaluation for "XMC 750 Watt Motor Control Application Kit"